New York Archives - Page 4 of 28 - Adventure, baby! 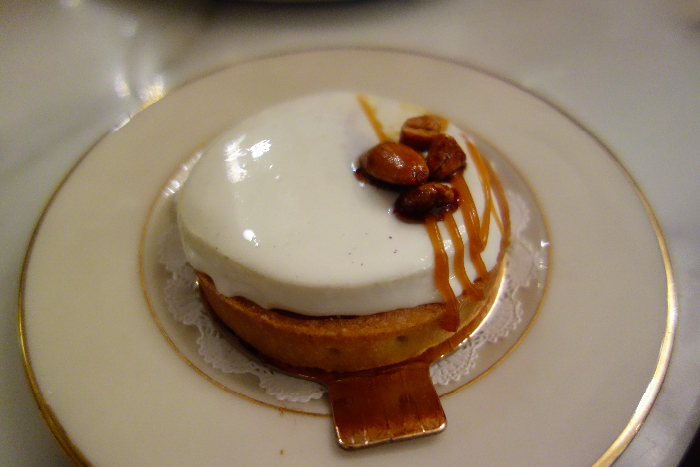 When your sweet tooth is a-calling, the Upper East Side is the place to go. Within a few blocks of each other lies a cornucopia of sugary heavens. How’s a sleep-deprived mom to choose? 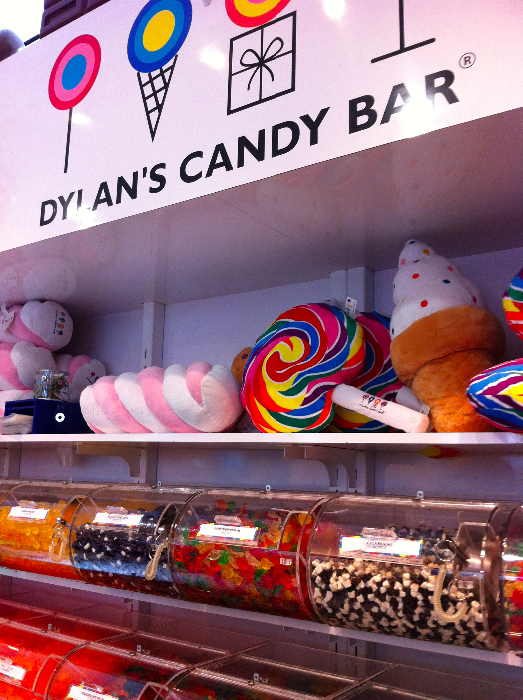 Created in 2001 by Dylan Lauren (of the Ralph Lauren family) Dylan’s Candy Bar is the place to go for a serious sugar high. 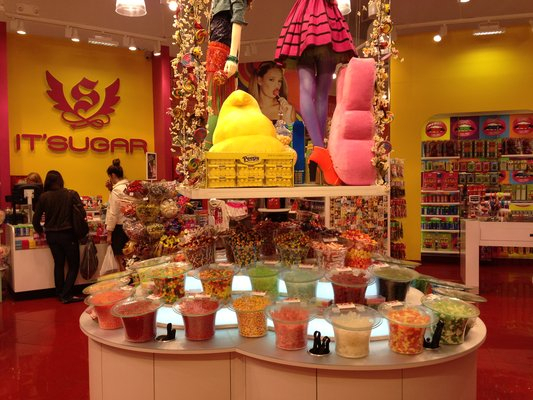 Choose from 7,000 candy treats in the store, then lounge upstairs in a cupcake booth at the Candy Cafe to enjoy lunch or a snack, and perhaps a candy cocktail. These mini cupcakes were made with tiny hands in mind! At $1 for each little cupcake, it’s the perfect sized treat when you don’t want the day to get too sugary. Our favorite flavor is the Choc Chip Pancake (totally breakfast food, right?). 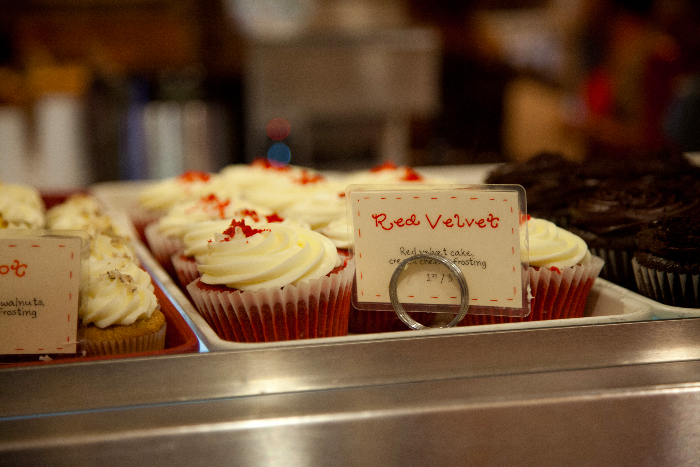 How can you pass up what’s often called the best red velvet cupcake in the city? 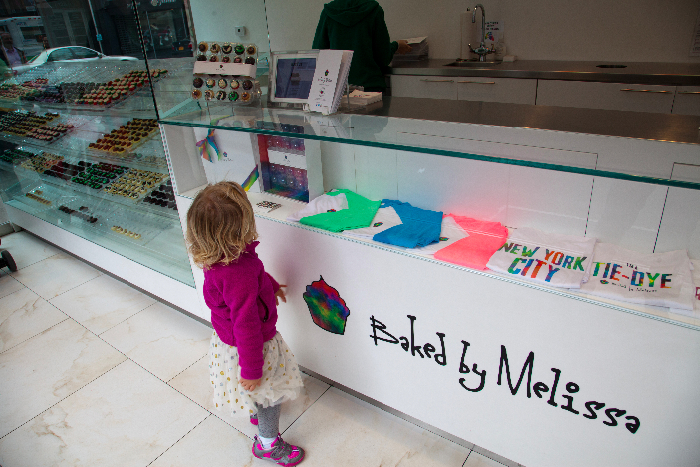 The cupcakes come in regular and mini sizes, so you can sample several if you’re not set on one flavor. If you’re on the go, grab your cupcake from the Sprinkles ATM out the front. 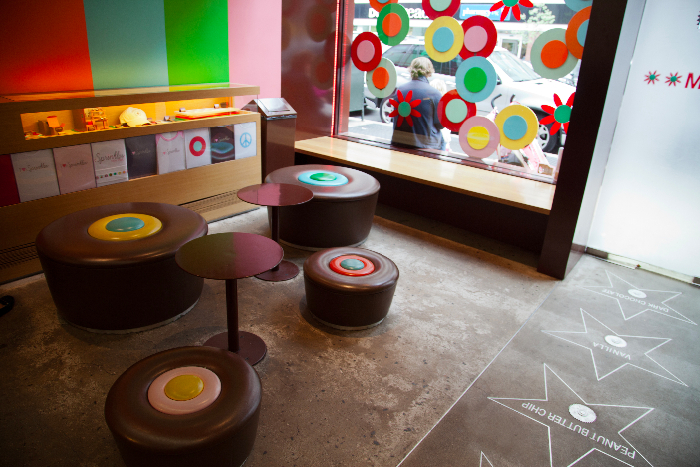 We prefer to sit down inside to enjoy our cupcakes – the cupcake-inspired interior and ottomans are a huge hit with kids. Know before you go: Check out their rotating seasonal menu so you visit on the day when your favorite flavors are being served. This article first appeared on MommyNearest.com. 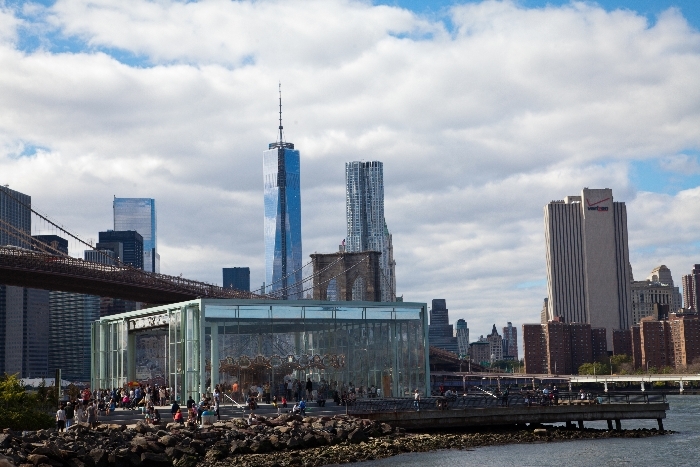 Take a stroll over the Brooklyn Bridge into Dumbo, to enjoy cobblestones, carousels and cake. Built in 1922, the carousel has been recently restored and is now an iconic part of the Dumbo waterfront. Open year-round, taking a ride is a must-do for every visitor to NYC. This delicious cafe serves the cookies they are named for, plus whoopie pies and their famous layer cakes. 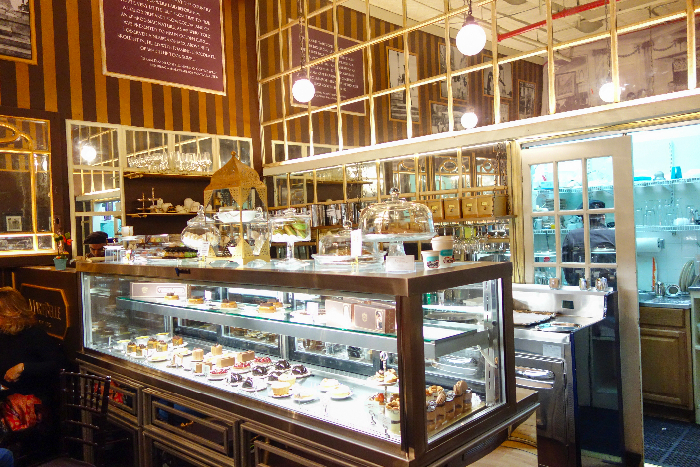 Ask for a slice of the daily cake (anything with dulce de leche is particularly delicious). 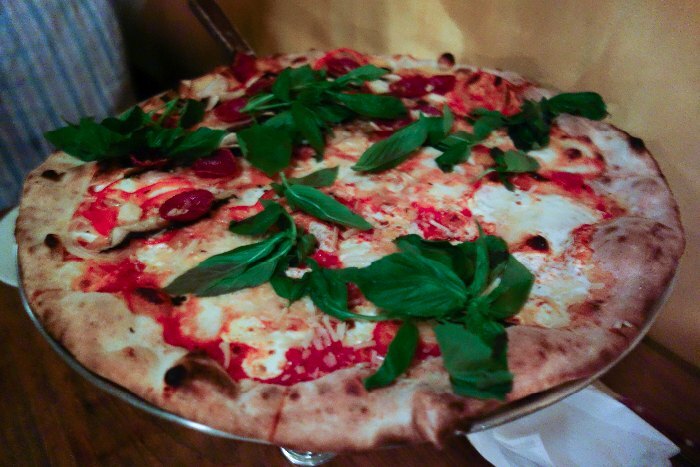 Skip the lines at Grimaldi’s next door and instead sit down for piping hot mozzarella courtesy of the Grimaldi family. You read that right, the Grimaldi family own and run this pizzeria. Delicious grilled cheese sandwiches. Take one and eat it in nearby Brooklyn Bridge Park. This 85-acre park stretches along the waterfront, filled with cycling paths, playgrounds, bbqs and breathtaking views of Manhattan. Drop by this cute boutique for some adorable outfits designed by Susan Lazar. Focusing on innovative and environmentally-friendly toys and gear for kids. 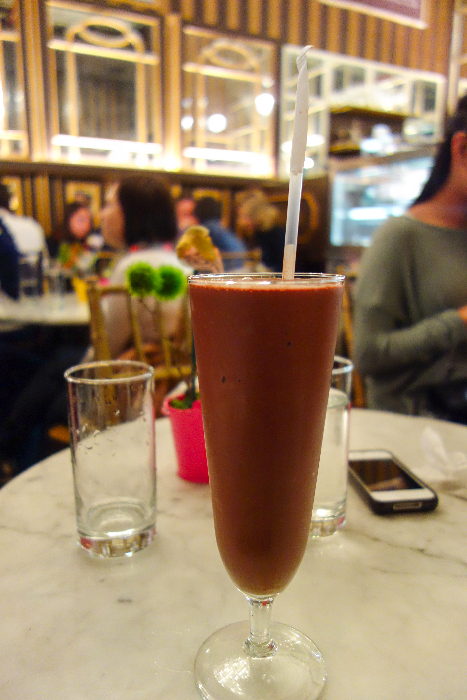 The hot chocolate at Jacques Torres is like liquid gold. Heavy, rich and decadent. This article first appeared on MommyNearest. It can seem like a big undertaking to take little ones to the MoMA. With its small rooms and quiet atmosphere, it can feel like a daunting prospect. 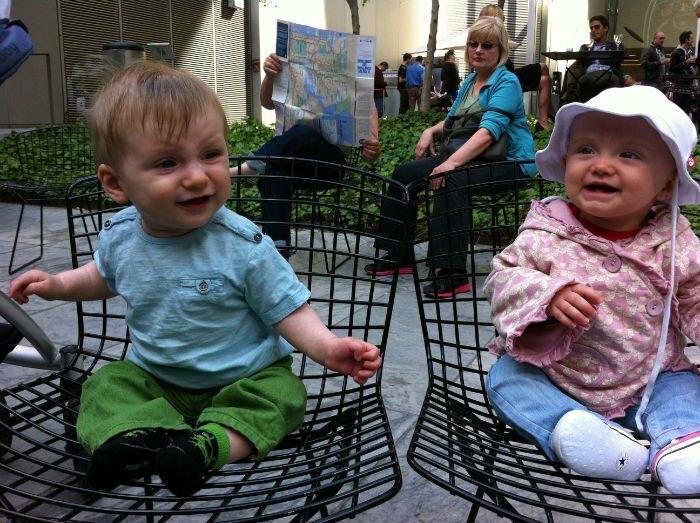 However, the MoMA loves kids — just keep strollers and toddlers several feet from the art works and you’ll be fine. Use our guide below to enjoy showing your tiny tot or older child the beautiful of modern art. This is your best bet with a baby or toddler. Stroll them around the exhibits you want to see (I’d suggest choosing only one exhibit per visit), then release them in the sculpture garden to play. Bonus tip: The sculpture garden is free to visit on its own every morning from 9-10:30am. After that time you’ll need to buy a ticket, so get in early if you want to do a test run with just a little bit of culture before taking on the entire museum. The MoMA offers programs for children ages 4 – 14 and their parents and caregivers. All programs are free. For ages four and up. These tours are a fun and creative way for children to interact with art. Pick up a free art card or printed guide (you can download the guide here in advance) with activities, questions and ideas for looking at art in the MoMA. The MoMA has special kid-friendly audio guides. Kids ages 4 – 14 learn about ideas and techniques in modern and contemporary art in these free workshops. Adults and kids can experiment, play, and create art in this interactive space. Explore tools, techniques and ideas about art in a family-friendly environment. Live too far from the MoMA to make a visit in person? Download the MoMA Art Lab app (suitable for ages seven and up) and your kids can enjoy creating artworks such as a shape poem, sound composition or group drawing. 11 West 53rd St. btwn 5th & 6th Ave. This article was first published on MommyNearest. 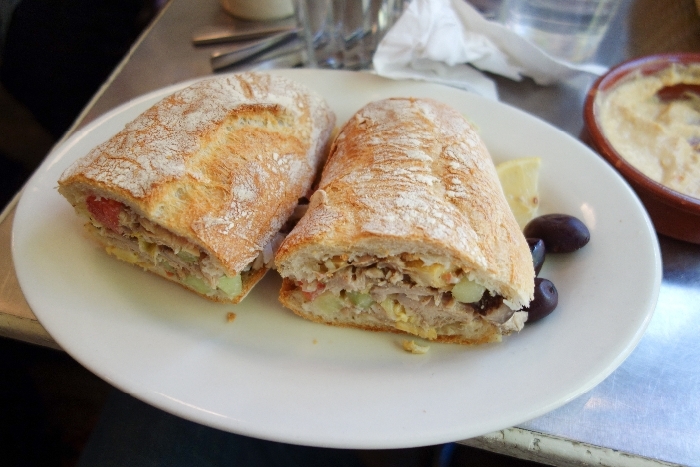 Feeling like some hearty Greek food while shopping in SoHo? 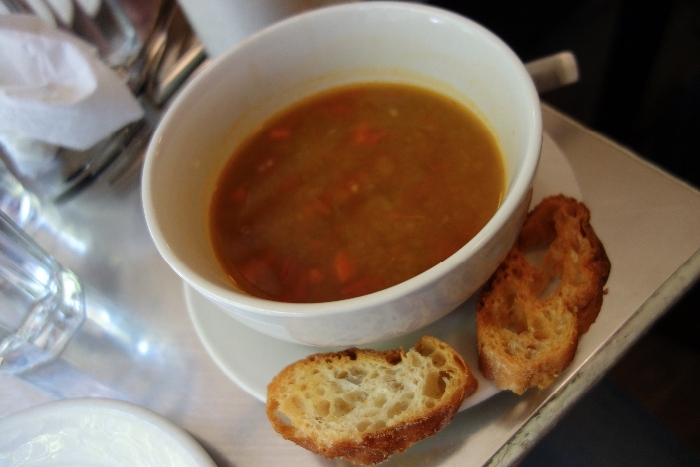 We love taking refuge from a cold day to eat up and stay warm at Snack. A tiny doorway leads to a small restaurant. Be prepared to squish in (umbrella strollers only, carriers preferred!). 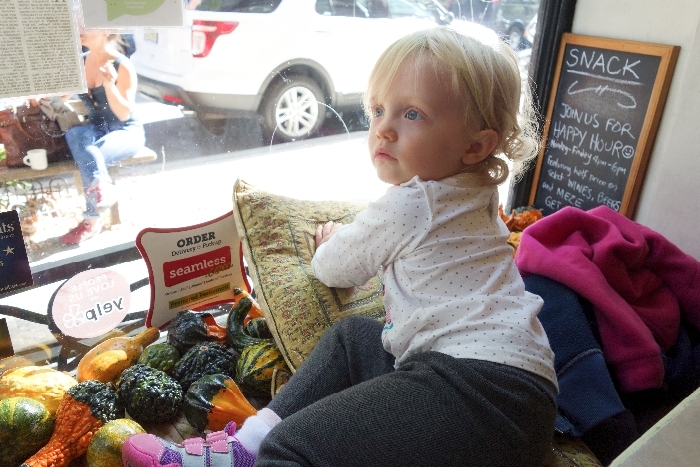 The staff are welcoming to young diners, and gave us the coveted front window seat, which is great for allowing little ones to occupy themselves by watching the passersby. We ordered food to share: Hummus ($7.50), Pita Bread ($1.50), Spanakopitakia ($5), Tiropitakia ($5) the Soup of The Day, which was Lentil ($8.50), and a sandwich ($10). It was WAY too much food for two adults and one toddler. It was, however, all absolutely delicious and very filling (plus, you can easily take hummus home for leftovers). 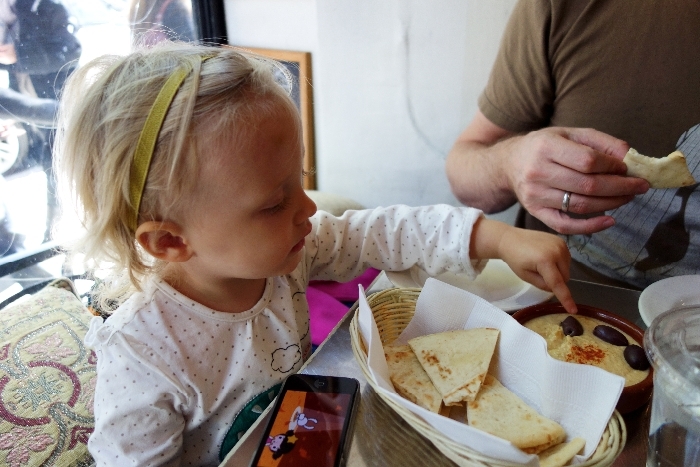 After lunch, we dropped by the nearby Vesuvio Playground (at Spring and Thompson Streets) to let Missy E run her hummus and pita bread off. It’s a huge playground, best suited for slightly older kids. 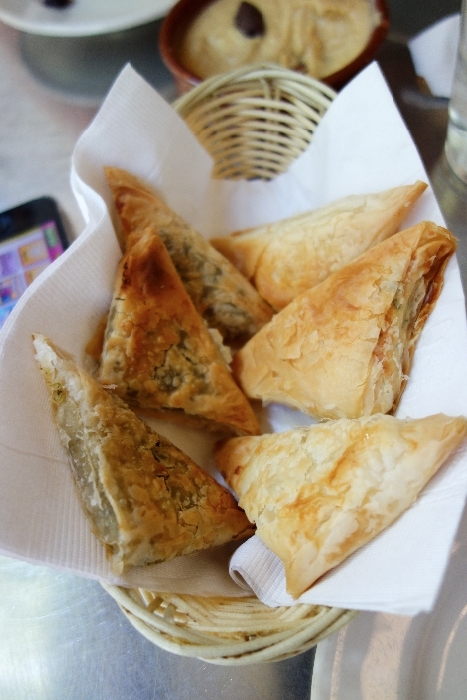 Last Bite: Mediterranean food that’s tasty and filling, tucked away like a delicious secret you’ll want to keep to yourself. Stroller storage: Minimal. Bring a stroller that folds. 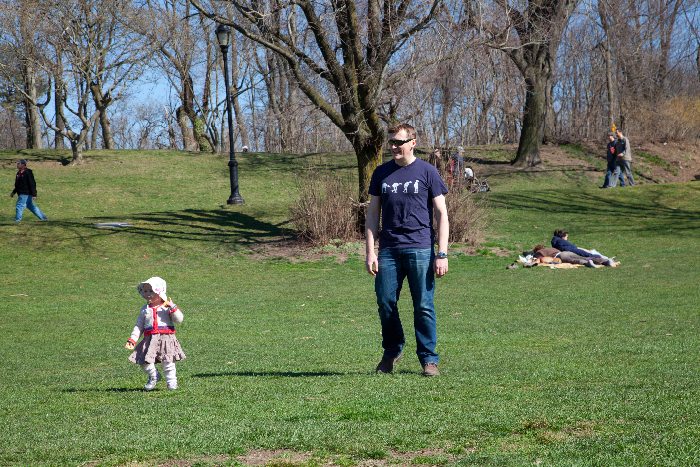 Prospect Park is an oasis of lush greenery for Brooklyn families. The park opened in 1866, and is 585-acres in size, containing Brooklyn’s only lake, a zoo (Prospect Park Zoo) and a carousel. Prospect Park makes for a great center piece to a fun family day out, and we’re here to give you the perfect itinerary. This tiny bagel shop makes fantastic bagels, fresh with a thick layer of cream cheese. Grab one to go as you’re walking up Flatbush towards the park. The Prospect Park Zoo opens at 10am. 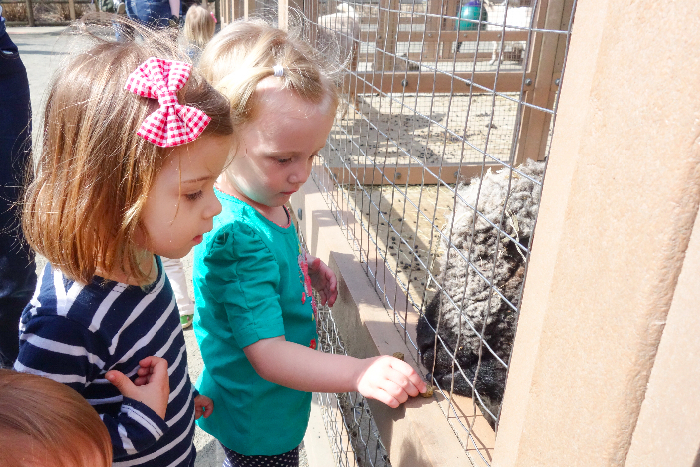 Hit up the sea lions first (daily feedings at 11:30am, 2pm and 4pm), then the barnyard animals to feed some goats and sheep, and check out if there are any new baby animals. Save the nature trail for the very end to wear everyone out before lunch. As you’re exiting the zoo, take a spin on the carousel, newly re-opened for the season. The carousel was carved in 1912, and is one of only 12 remaining carousels created by master carousel creator Charles Carmel. Exit the park and take a two-block walk down Flatbush to Franny’s, a pizza restaurant committed to sustainable agriculture. All of the vegetables, fruits, eggs, dairy, and fish are largely sourced from local and/or organic producers, while all the meats at franny’s are from sustainable sources, containing no hormones or antibiotics. The pizzas are absolutely delicious. Order a no-frills Tomato, Basil and Buffalo Mozzarella and either eat in, or walk back to the park and enjoy your pie while sitting in the sun. Right inside the entrance to the park is a huge field, where on any given day you’ll find families playing ball sports and chasing small toddlers. Bring a ball to kick around or stroll around the path to enjoy the natural beauty of the park. 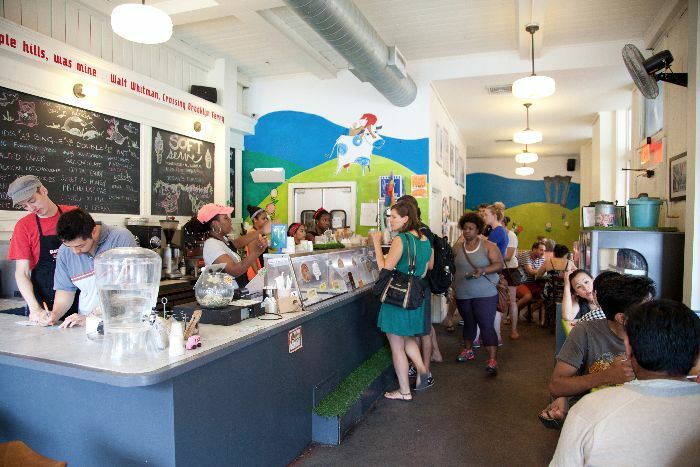 A trip to Prospect Park isn’t complete without ice cream, and it doesn’t get any better than a cone of salted caramel or sweet cream and cookies from Ample Hills. The ice cream is made in small batches, using fresh, local, all-natural milk, cream and eggs from local farms. The portions are generous and reasonably priced (kids $2.75, single $4.36). Order a single cone and choose two flavors. This article was first published on mommynearest.com. What started as a small collection of rare and delicate chocolates and confectionary in 2000 is now a thriving high-end chocolate bar, tea parlor and retail store. 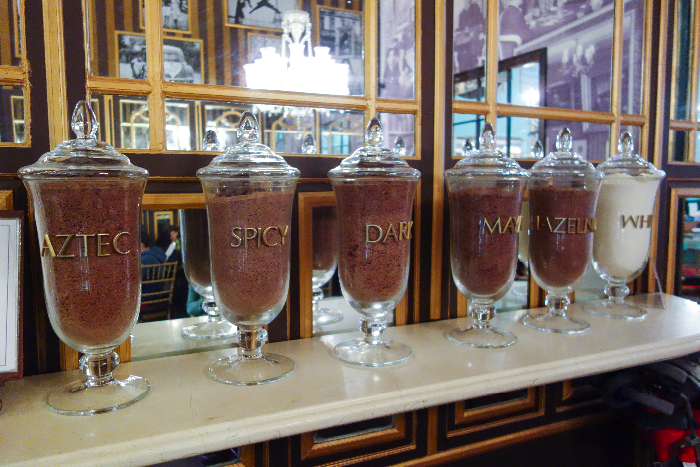 MarieBelle‘s creator, Maribel, grew up around cocoa fields in Honduras, which inspired in her a passion for chocolate. Maribel is both a chef and designer — each skill on display in her beautiful tea parlor and store — from the exquisite chocolate pieces on display in the store, to the rich European-inspired styling of the salon. With glittering crystal lights, antique furnishings and deep brown and gold panelling in the parlor, a trip to MarieBelle is a delight to all the senses. 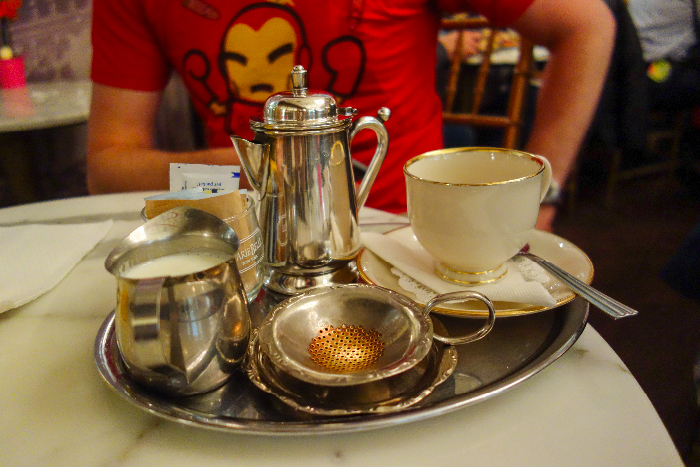 Entering from the street, we walked through the retail store to the cafe in the back for a sit-down tea service. Friendly staff greeted our party, which included one rowdy toddler (bull, meet china shop!). Our waitperson clearly liked children, and made us feel extremely welcome despite our pint-sized companion constantly wriggling in and out of her fancy chair. 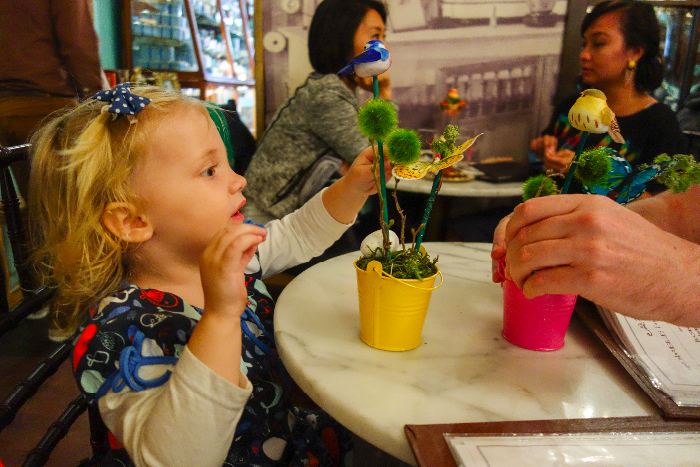 Luckily, we came for quick treats (rather than a tea service), and there are few things that keep my toddler sitting still like an iced chocolate drink. Chocolate is the speciality here, and when ordering a hot or ice chocolate, you can choose from various chocolate flavors. Since I have a mild palate, I went with the classic Ice Chocolate (you can also choose flavors like Aztec or Spicy, as seen in the photo below). 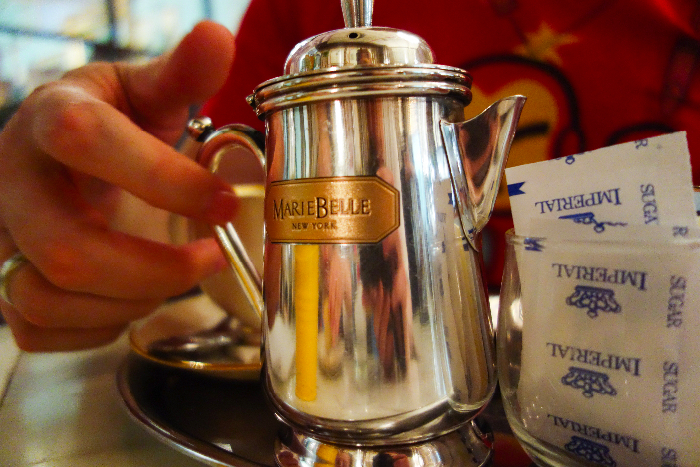 Alec ordered a simple tea, which arrived in a beautiful silver tea set, and we ordered a madeline for E (her favorite treat) and a caramel crème brulee to share. 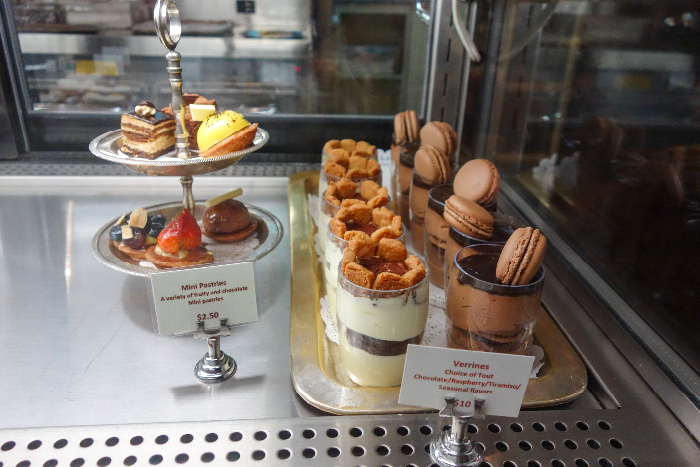 As you would expect from a speciality tea and chocolate cafe, everything was delicious. The ice chocolate was not too sweet, and the crème brulee was a twist on the traditional kind, with a caramel base and crème on top. 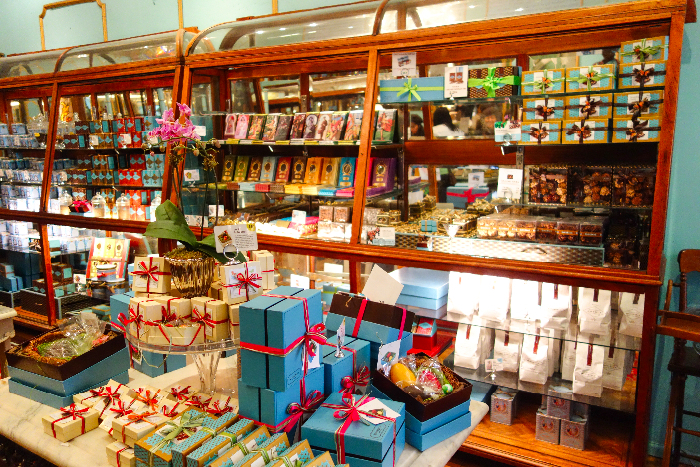 Before leaving the cafe, be sure to wander through the retail store and take home a few chocolates for later. 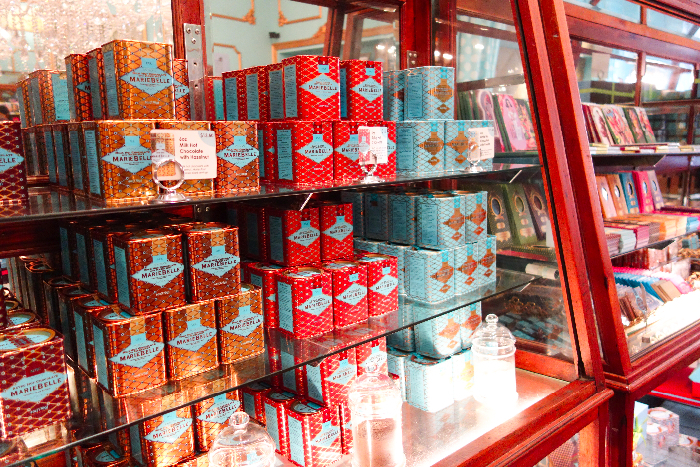 While some of the MarieBelle chocolates are sold in speciality stores elsewhere, some of the creations are only available from the store in SoHo. 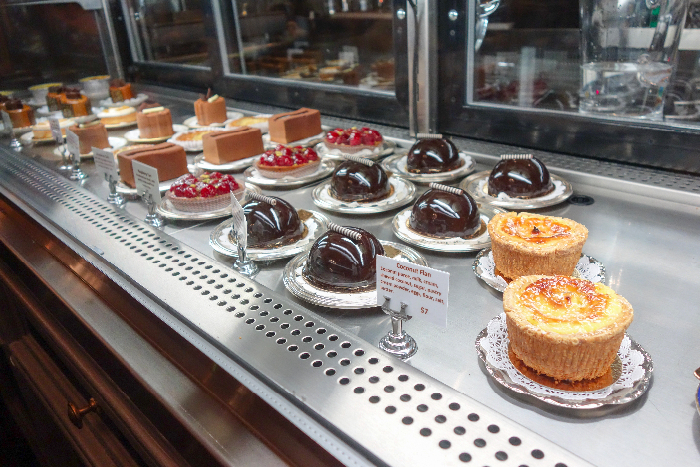 Last Bite: Bring little chocolate-lovers for an especially sweet outing. Stroller storage: Minimal — bring an umbrella stroller or carrier. Easy access: No. There are a few steep steps to get in. One of the best things about New York City is the amazing variety of food you can enjoy to meet any type of dietary requirements you might have. 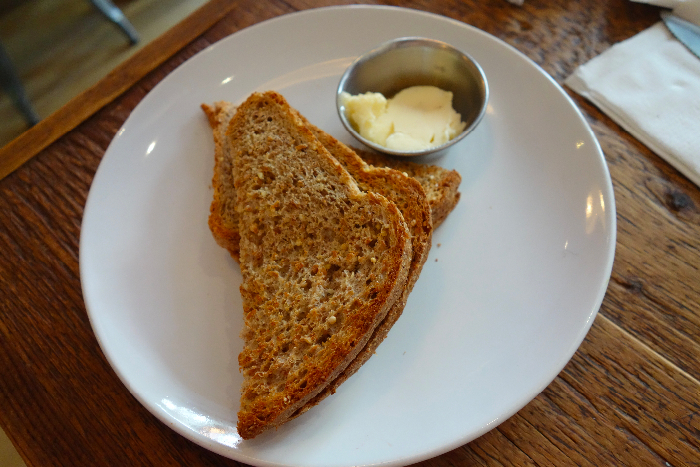 A good friend of mine has a gluten and dairy intolerance, so we regularly eat at cafes and restaurants where her dietary needs are met — and where she has more choice than a salad or eggs. Sun In Bloom is a gluten-free, vegan & raw food kitchen, with locations in both Brooklyn and Tribeca. 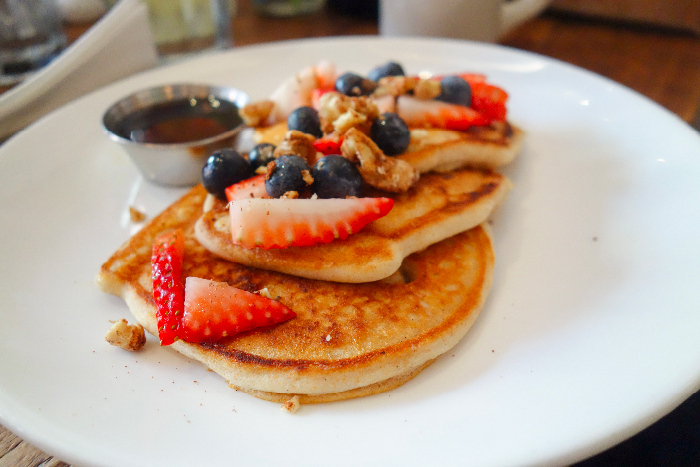 We visited their Park Slope cafe for brunch to see if their pancakes measure up when they’re made without delicious gluten. 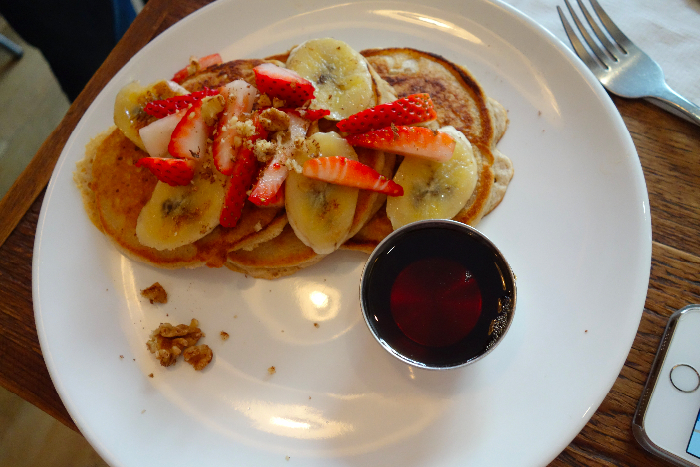 All three adults in our party ordered the Gluten-Free Pancakes with Spiced Germinated Walnuts & Side of Maple Syrup ($11.50), but we each chose different combinations of fruit toppings to go with it. The pancakes were surprisingly still yummy even without gluten, and the fruit on top was fresh and sweet. We gave Missy E a side of Sprouted Wheat Toast and Sunflower Seed Butter to try, but it was too crunchy for her and so she preferred the pancakes and fruit. At prime brunch hour there was no wait for a table, but when we were leaving the cafe it was quickly filling to capacity. The wait on some of our items was a little longer that I would have liked, particularly since Missy E was being a whiny pain that day and we were desperate to eat and leave! We all enjoyed our brunch and will be back, particularly when entertaining people with special dietary requirements. 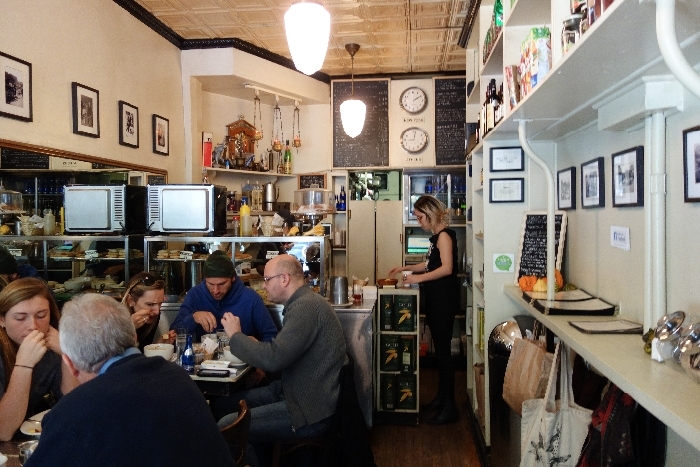 Last Bite: A healthy brunch option that caters to the special dietary requirements of vegan, raw-food-followers and gluten-intolerant diners. Isabella’s has been our go-to restaurant of choice when we visit the American Museum of Natural History for the past two years. It’s a truly delightful combination — fuel up on really delicious food, then hit up the dinosaurs and then Central Park. We’ve been taking Missy E to Isabella’s since she was about 6 months old. 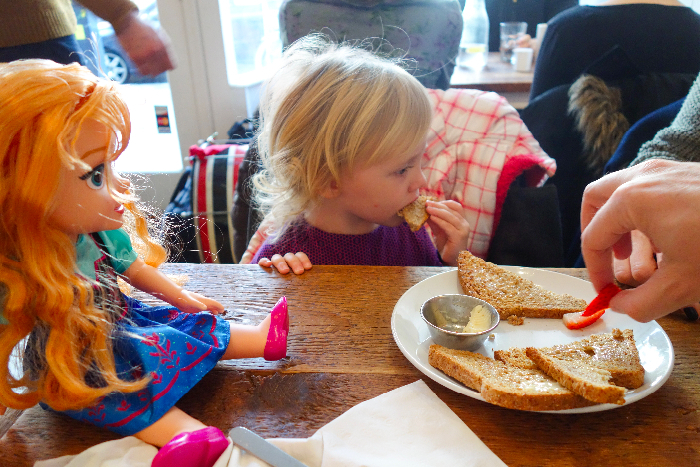 Taking her as an almost 3 year old means we really get to enjoy all the kid-friendliness this restaurant has to offer. 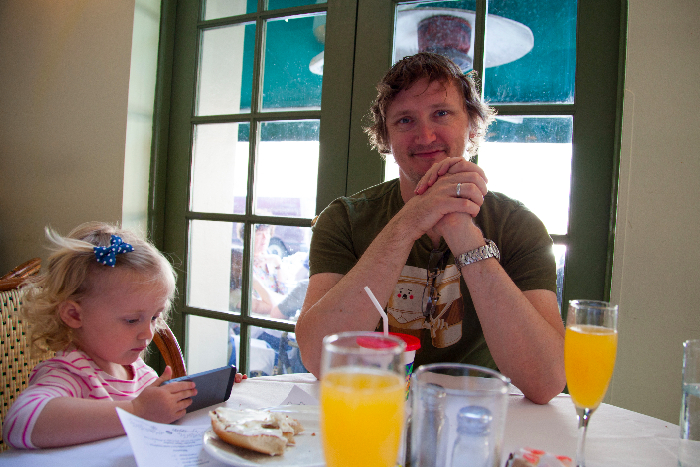 We took E to see a new dinosaur exhibition at the AMNH during the early members hours, and then to Isabella’s for late breakfast. After a short wait, we sat at our table, and were greeted by a friendly staff member bearing a “welcome pack” for our toddler. The pack contains crayons, some cool sticky stick things and a kids’ menu that doubles as a coloring page. We ordered her a Bagel with Cream Cheese ($4) and asked for one of their complimentary straw cups for kids filled with water. 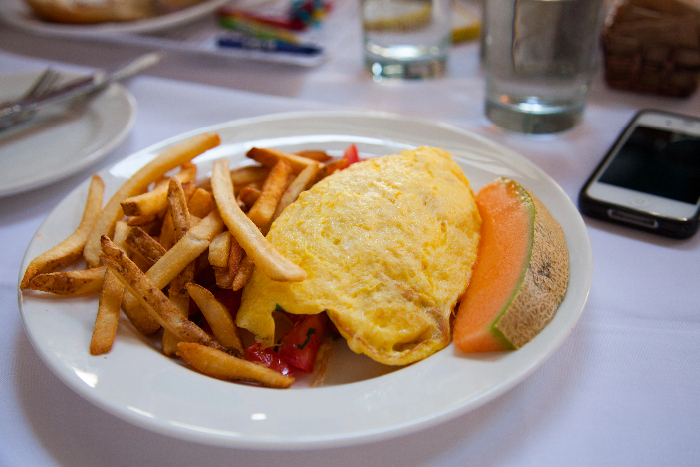 I always order the same thing — the Goat Cheese Omelette with marinated tomatoes and basil ($14). It comes with home fries, which I swap out for regular fries. 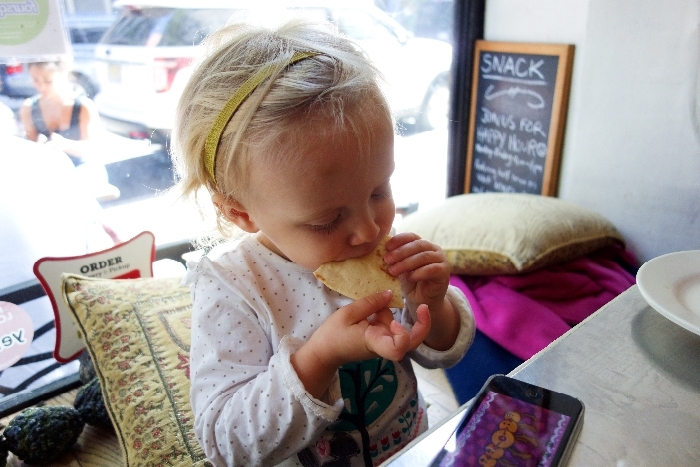 E loves to pick at a lot of different foods, so this way she eats a decent amount of omelette, fries and bagel. She adores cream cheese. 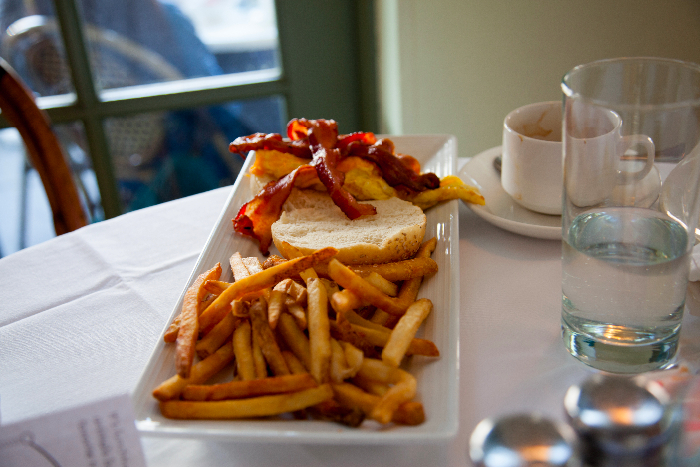 Alec ordered the Classic Breakfast Sandwich (scrambled eggs, cheddar cheese, crispy bacon, $15). On Sundays, brunch includes a beverage of choice, so we had our bellinis included. Cheers to that! 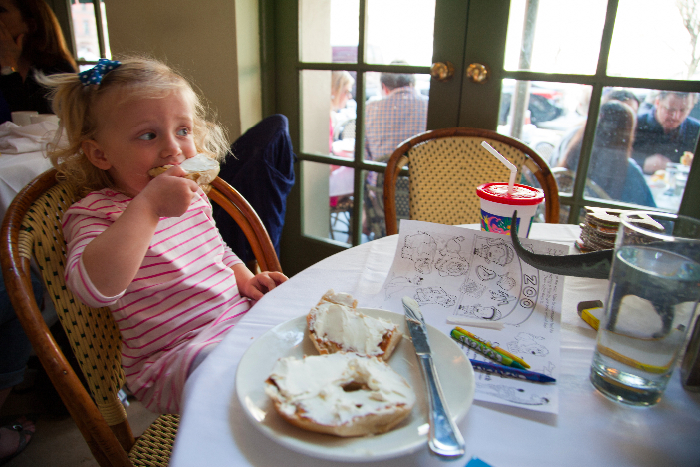 Last Bite: Isabella’s is a hit with the whole family. 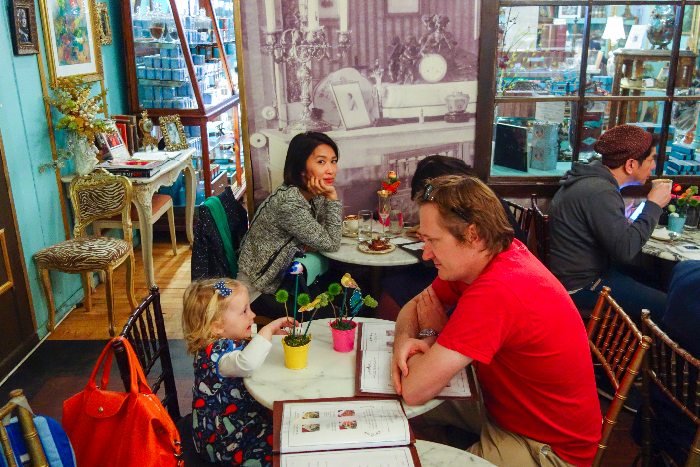 Adults love the elegant atmosphere (without the snootiness) and absolutely delicious food, while kids are happy being well attended to and given new things to play with. Stroller storage: Yes. Bring a folding stroller though, as during rush hour, you’ll struggle to find a place for anything bigger. 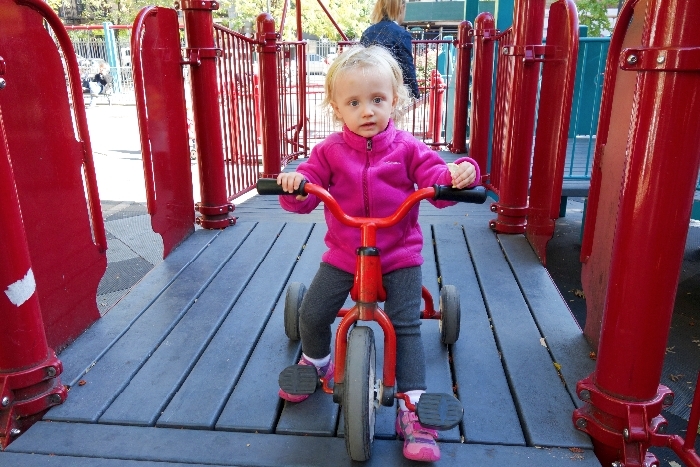 The quiet neighborhood of Cobble Hill is home to a LOT of strollers. It’s often joked that once Manhattanites start breeding, they move to Brooklyn. If this is the case, then a lot of these new parents must move to Cobble Hill, as it is literally bursting at the seams with babies, toddlers and lots of kiddie fun. This little oasis of calm amongst the brownstones is a popular haven for mothers’ groups during the week, and families on weekends. A little play area at the end of the park entertains older kids with a sand pit and climbing structures. The park is lovely year-round, but is especially pretty in spring when tulips and daffodils are blooming. 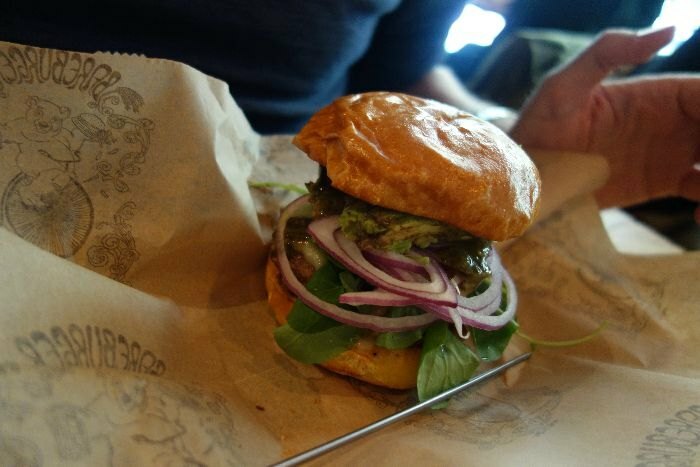 Grab an all-natural burger, shake and fries for lunch at Bareburger. Kids can order a Cubby Meal, choosing from items like a grilled cheese panini or “grizzly” burger (with a quinoa veggie patty option). Adults: order from a wide variety of burgers (including “build your own”), sandwiches and salads, all made with organic ingredients free of hormones, pesticides and other unsavory elements. This large playground has climbing structures for toddlers and older kids, plus a few swings. The main attraction for the toddler set, however, is the ever-changing walker and car toys that are routinely “donated” to the park throughout the year. The park is well-shaded on afternoons, and the trees put on a beautiful display of color in the fall. Dress your little one like a Brooklyn hipster at Picnic. Owned by local mom Lindsey Engler, the store stocks adorable outfits and accessories for kids from baby and up. You’ll also find a range of NYC and Brooklyn books and toys. 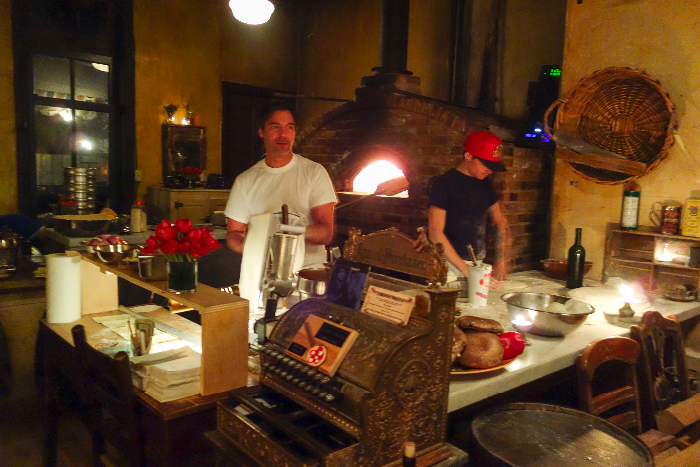 The famous Lucali’s is reputedly home to one of the best pizzas in New York City. As such, there is always a line to get in, and it’s always seemed to us like too much of a hassle to try to get in when we’re paying a sitter so that we can potentially stand in line for an hour. When we recently flew back from Australia however, we had a week with jet lag where Missy E was awake every night at dinner time. 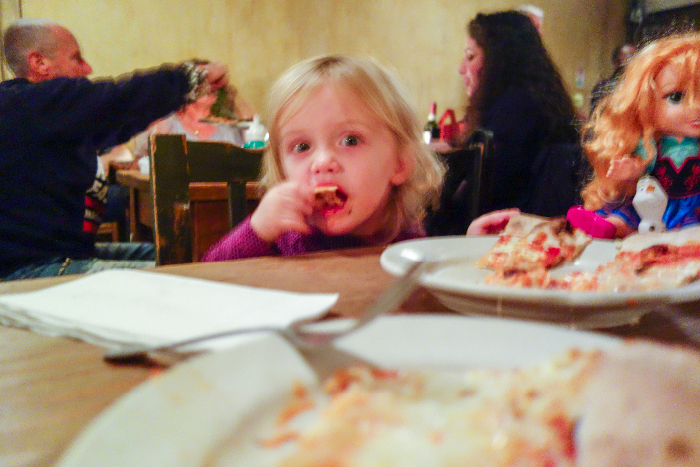 Since she wasn’t sleeping anyway, we all headed down to Lucali’s in Carroll Gardens to FINALLY try this pizza we’ve been hearing about all this time. We arrived right before the restaurant opened, and were not that surprised when we saw a big crowd of diners who had the same idea that we had had. Turns out that getting there right when the doors open does not beat the crowd: the smart thing to do is to reserve a table over the phone, or arrive at least 15 minutes before the restaurant opens, guaranteeing you a seat in the second seating of the evening — so about a 30-45min wait. Missy E was napping in her stroller when we arrived, so we strolled around the neighborhood for half an hour until we got the call that our table was ready. They do not have high chairs. Our table was right next to the pizza-making station. The staff couldn’t have been friendlier toward our slightly crazy toddler. 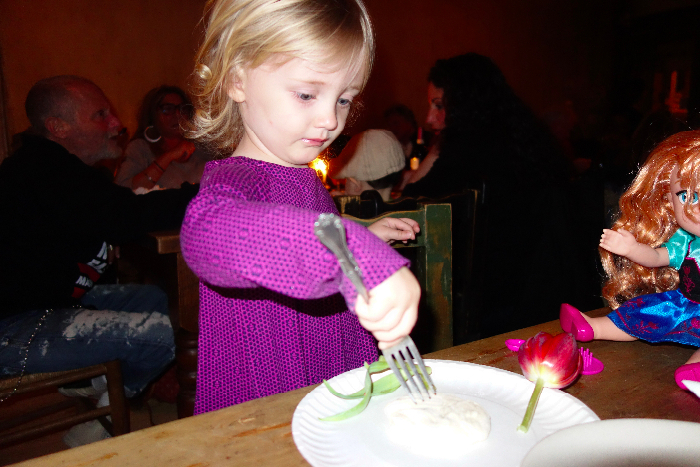 The wait staff gave her a fresh flower to play with, and then a piece of pizza dough with which she could “make” her own pizza. When she started to get antsy, I took her to watch the chefs hard at work making the pizzas from scratch. We watched as they rolled and threw our pizza’s dough, covered it in fresh toppings, and finally, removed it from the oven, piping hot. And about those pizzas. There are two menu options at Lucali’s — pizza or calzone, with your choice of meat and vegetables, which are listed each night on the chalkboard outside the restaurant. The only beverage they serve is water, but you can BYO wine. The much-hyped pizza was absolutely amazing. 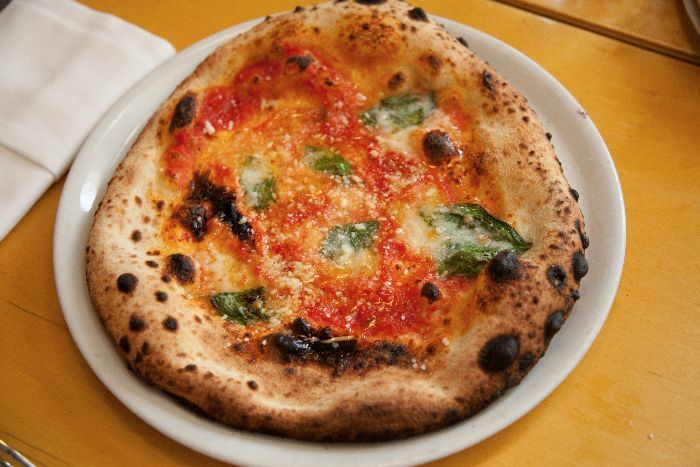 It had the perfect crust, thin and crispy on the edges, with a rich tomato sauce, a generous amount of cheese and giant clumps of fresh basil. One pizza was just the right size for two adults and a toddler to share (they do half-and-half if you want different toppings to your dining companions). 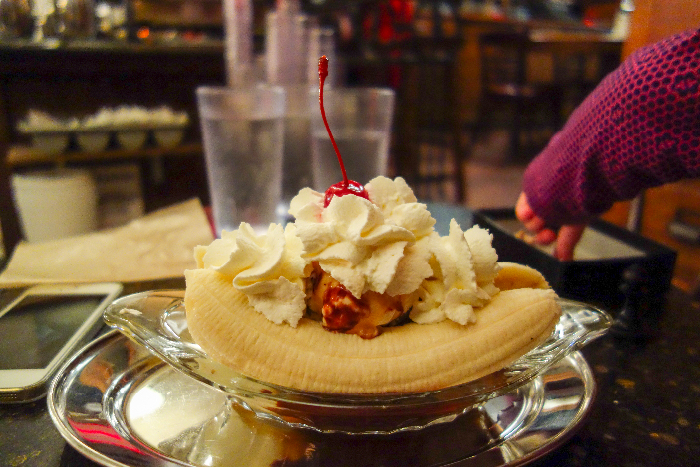 After our pizza we still had room for dessert, so we dropped by our nearby fave, Brooklyn Farmacy, for a banana split.